The July e-newsletter is packed to the brim with summer fun! Whether you are gardening, hiking, swimming, or grilling veggies, we have some great product recommendations to help you enjoy the warm weather the cruelty-free way. We also want to share our experience tabling at the Taking Action for Animals conference in Arlington, VA, which took place last weekend. See below on why our table was a total hit! Our company spotlight interview this month is with Hilary from Honestly pHresh, a company that has been emerging as a cult beauty brand. And finally, make sure you also check out some of our most recently certified companies and exclusive discount codes from David’s Toothpaste, Kolors by K, and Sany Skincare. What do soaking in the sun and taking advantage of the season’s bounty of fresh produce have in common? Cruelty-free products, of course! Check out some of our recommendations to enjoy the summer splendor, where no animals are harmed. 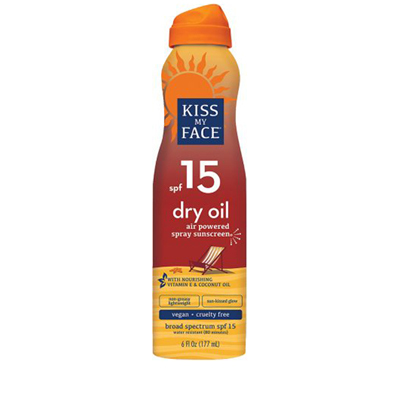 Kiss My Face’s dry oil sunscreen is SPF15 and designed to protect your skin while still getting a sun-kissed glow. This product is perfect when you want to stay protected from the sun, but do not require extreme coverage. It’s great to use while gardening in the morning or on late afternoon hikes, for example. The spray applicator is a nice feature for a neater application, and the dry oil concept doesn't leave you feeling greasy. With gardens reaching their peak productivity and farmer’s markets in full swing, we are totally taking advantage of the abundance of fresh fruit and vegetables. 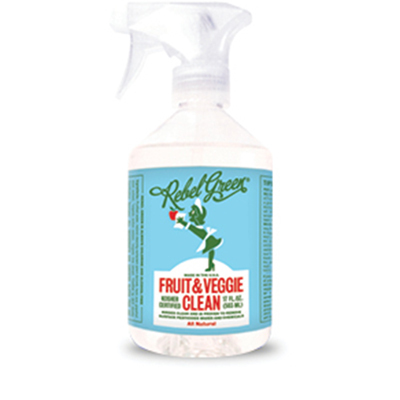 Rebel Green’s Fruit + Veggie cleaner is a fantastic way to safely wash your produce before consuming it. This spray has a light scent but does not have a residual taste. In addition, the bottle design is super adorable and one you won’t mind leaving out on the counter. Products that multitask are preferable for the summer when we are often on the go. 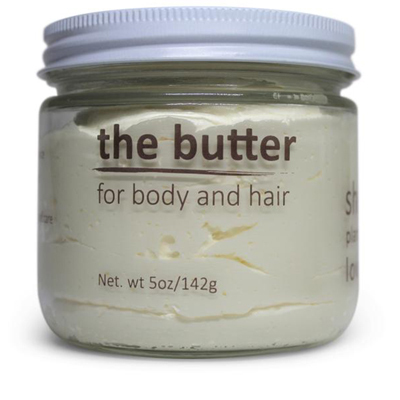 This “butter” works as a moisturizer for both skin and hair and even doubles as a makeup remover. During the summer, skin may get sunburned and hair can get dried out from the sun and pool water, and this product does a great job at rehydrating and healing. 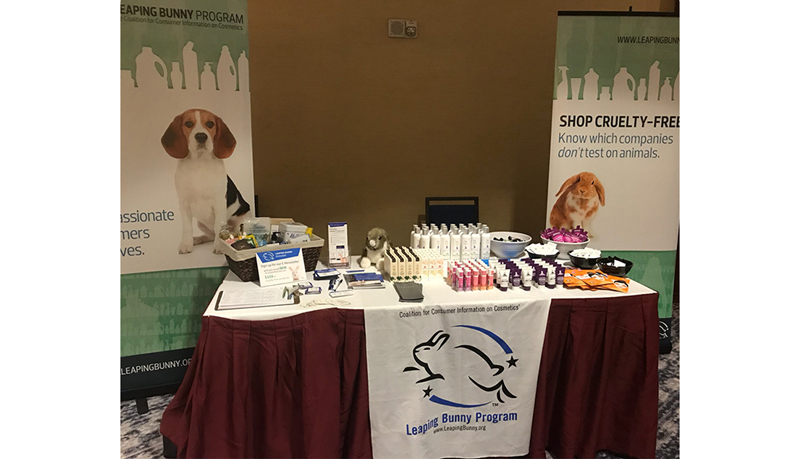 From July 20th-22nd, Leaping Bunny tabled at the Taking Action for Animals Conference in Arlington, VA. We had an array of amazing samples to hand out from cruelty-free Leaping Bunny certified companies. We are grateful to Anokha, BioKleen, Essentiel by Adele, Goddess Garden, Honestly pHresh, Life Elements, Maine Hempworks, Pura Naturals Pets, Revive Naturals, The Grandpa Soap Co, Thesis Beauty, and Yes To for generously providing samples. 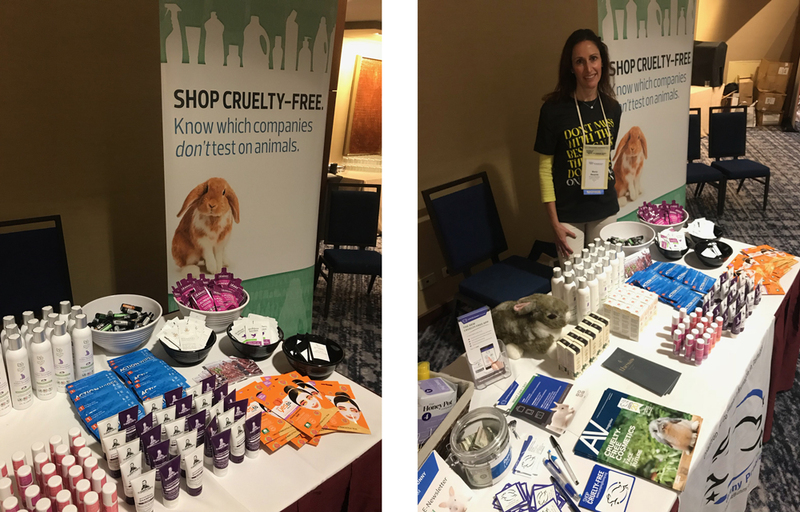 Attendees loved learning about the Leaping Bunny Program while trying new cruelty-free products. We had a wonderful time interacting with other animal advocates from around the country! 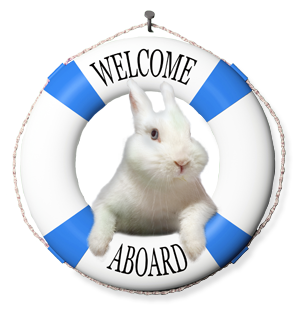 Leaping Bunny is busier than ever with so many amazing companies making the cruelty-free commitment. Check out the list below for some of our most recently certified brands and be sure to click their links and show them some bunny love! All-natural, luxury skincare company inspired by India’s ancient beauty rituals. Brand dedicated to filling the gaps and white spaces in the beauty world with innovative, high quality products. Skincare that offers high quality and effective natural anti-aging serums and creams. A company founded by a “parts model” (hands, feet, legs, lips) that believes in the power of moisturizer. Her product is specially formulated for all skin types and tones, to enhance each individual’s unique beauty. Vegan, non-toxic, gluten-free cosmetics in zero-waste, plastic-free packaging. 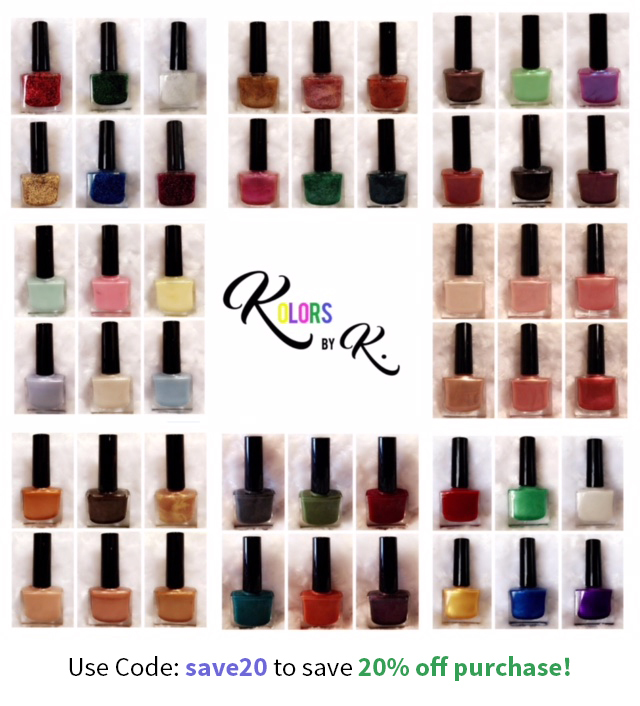 Unique nail polish featuring holographic, sparkles, unicorns, and other finishes. All natural personal care products in a variety of lovely scents. Natural, non-toxic line of algae facial oils powered by the sea. Cosmetics brand inspired by the colors of the Australian earth. Vegan lifestyle brand with an assortment of personal care products, including lip balm and soap. 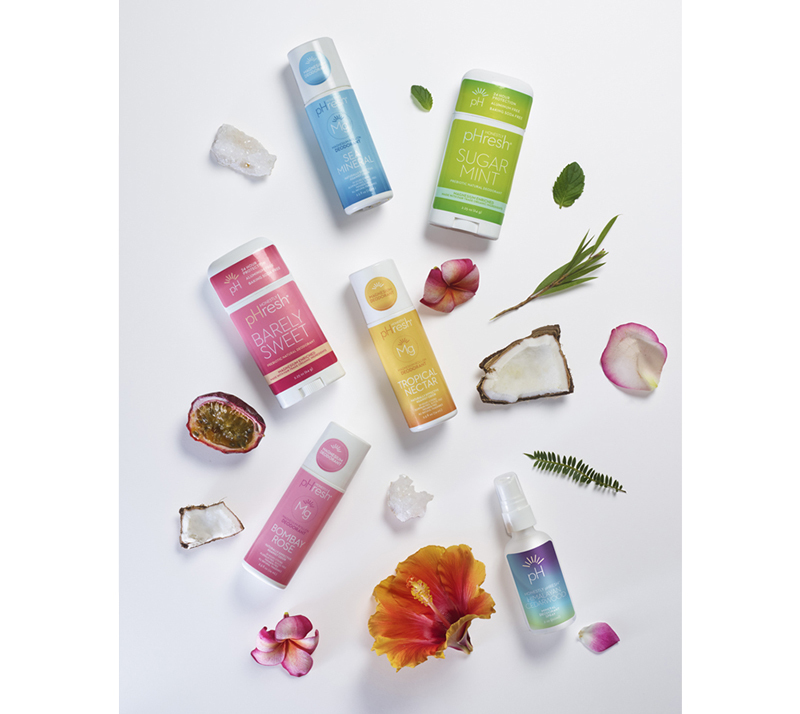 Sustainable skincare that combines Hawaiian botanicals and hand-pressed oils to create a powerful line of nourishing, rejuvenating face and body products. A risqué cosmetics line featuring lipstick and liquid lips. All-natural, non-toxic, and vegan personal care products. 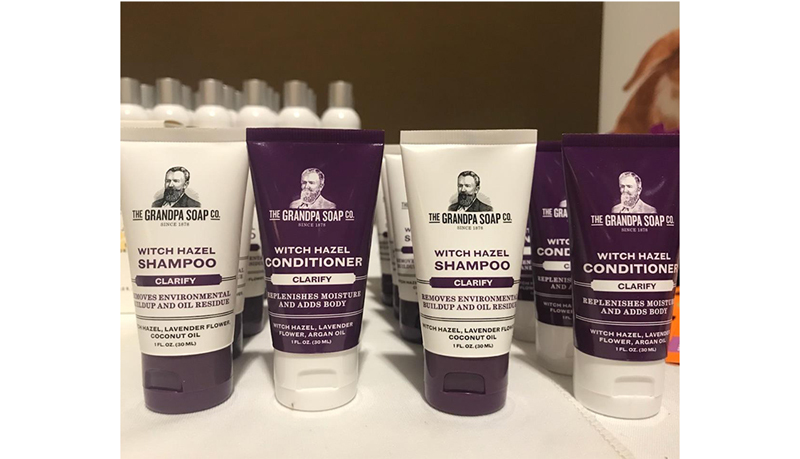 Hair company on a mission to treat hair loss with natural and chemical free formulas. Small batch, hand blended, fragrant bath products. 3-in-1 portable razor designed for touch ups that includes water, pre-shave moisturizing bar, and razor. Bath and body shop dedicated to providing high quality cruelty-free products and increasing awareness about threats to elephant survival. Handcrafted artisan soaps, bubble baths, bath bombs, and body products made with decadent oils, exotic butters, vibrant colors, and fun scents. Healthy and highly effective skin care company that is quickly growing into a cult indie beauty brand. Vegan beauty blog that expanded to sell its own line of skin care products. 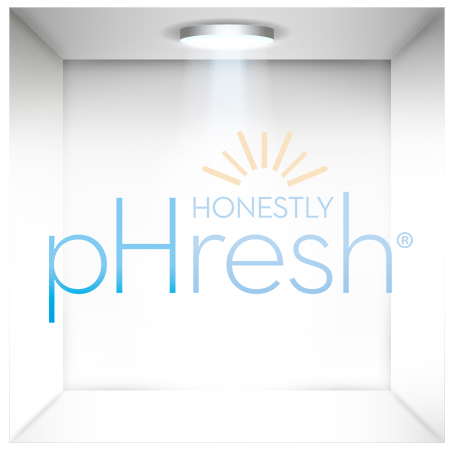 This month, we are excited to interview Hilary from Honestly pHresh! We met her earlier this year at Indie Beauty Expo LA (and again at Natural Products Expo West) and instantly knew her company would be a wonderful addition to our list of cruelty-free companies. Honestly pHresh makes personal care products with colorful, attractive packaging that keep you feeling fresh! Please read below to learn more about Hilary’s vision for the company, her favorite products, and why being Leaping Bunny certified is so important to her. What was the inspiration behind the creation of Honestly pHresh? Definitely my family. I always used natural products on myself and my kids, though could not find a natural deodorant that actually worked. My mother had cancer and was looking for a natural alternative that she could use and my children were getting to the age where they were starting to need deodorant. I decided to make it my mission to formulate a truly natural effective, safe product. I guess you can say, Honestly pHresh found me. What is Honestly pHresh’s mission? To provide truly safe, effective natural products that people enjoy using and feel good about using. 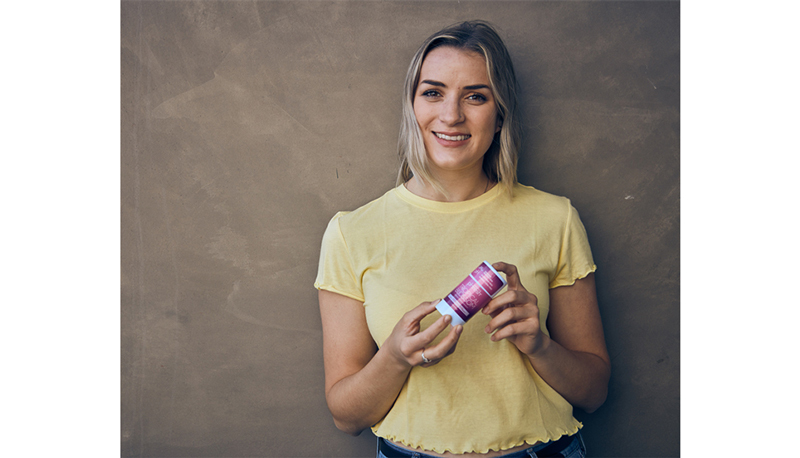 So many natural deodorants on the market are formulated with baking soda, which most people have an adverse reaction to as it can cause rashes, irritation and discoloration. We formulate with a combination of prebiotics and minerals to offer an irritant-free product. What is the best piece of advice you received when starting your business? To start small and be patient. Starting off small has helped immensely as I have been able to learn from the many mistakes I have made along the way. If I had set out with a bang at the beginning, my mistakes would have been a lot more costly and could have ended my business altogether. It’s been almost five years since I started Honestly pHresh and we are now emerging not only as a natural brand but a mass brand as well. Nothing happens overnight, but with persistence and patience a lot can happen. What is your favorite Honestly pHresh product and why? 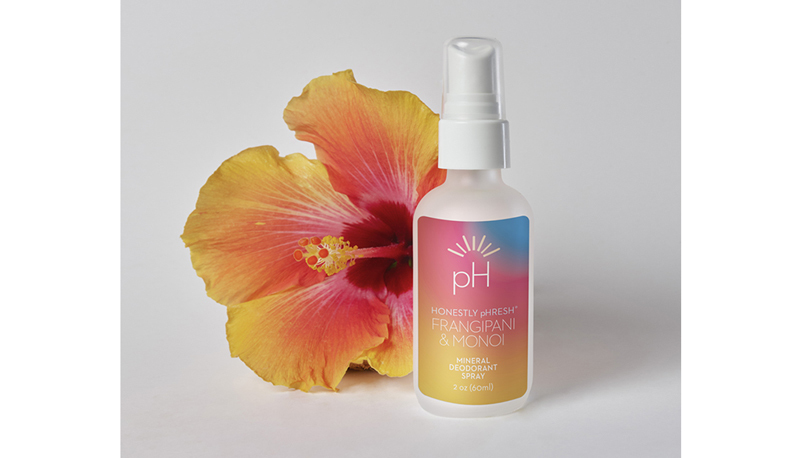 My favorite product is our Frangiapani Pre Biotic Deodorant Spray. I absolutely love the concept of this product and the fragrance. It's a spray that encourages healthy bacteria growth on the skin and can be sprayed anywhere that needs a little freshening up. The scent comes directly from a 40-acre flower farm on the Big Island of Hawaii. It’s truly heavenly. Our most popular products are the deodorant sticks, specifically the Barely Sweet and Sugar Mint Sticks. Your products feature a variety of scents. Which one is your favorite? Which one is the customer favorite? Definitely the Frangiapani and Monoi, which translates to Plumeria and Gardenia, respectively. This scent is hand extracted in Hawaii by a woman who has access to a 40-acre flower farm, plus proceeds go directly to the Boys and Girls Club of Hawaii. How amazing is that? What has been the most rewarding part of creating Honestly pHresh? Creating truly safe products that are effective and non-irritating. Is there a piece of customer feedback that has stuck with you? If so, what was it? Luckily for me, I hear a lot of customer feedback. It’s hard to find a natural deodorant that truly is effective and that won’t irritate your skin. I have numerous people email me to say thanks for making such a great product! I love hearing this and I love that I am making a product that people truly enjoy. Why is being Leaping Bunny certified important to Honestly pHresh? 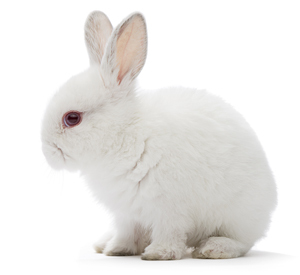 Being certified by Leaping Bunny gives our products validation and gives our customers the transparency of knowing that yes, we are cruelty-free. 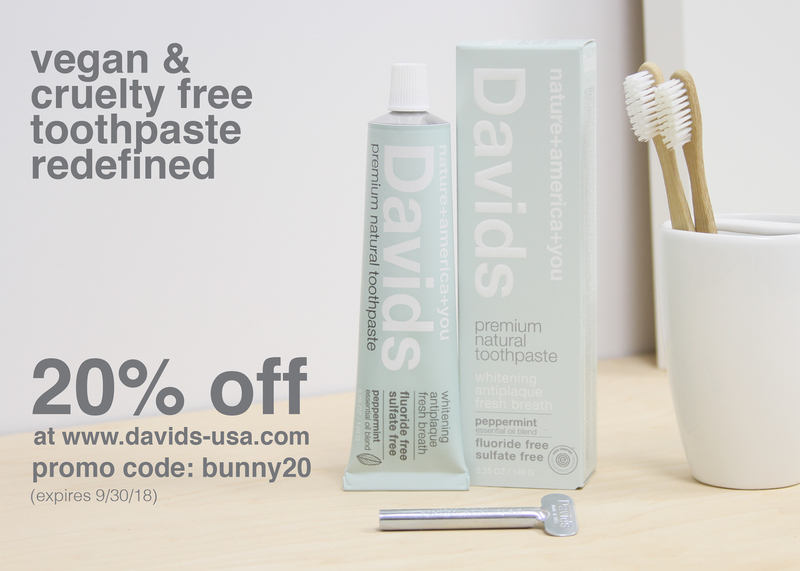 It’s important to us that our customers know we are truly a cruelty-free brand. What is something unique about Honestly pHresh that others may not know? Our company is 100% woman-owned and we manufacture all of our products in Southern California.